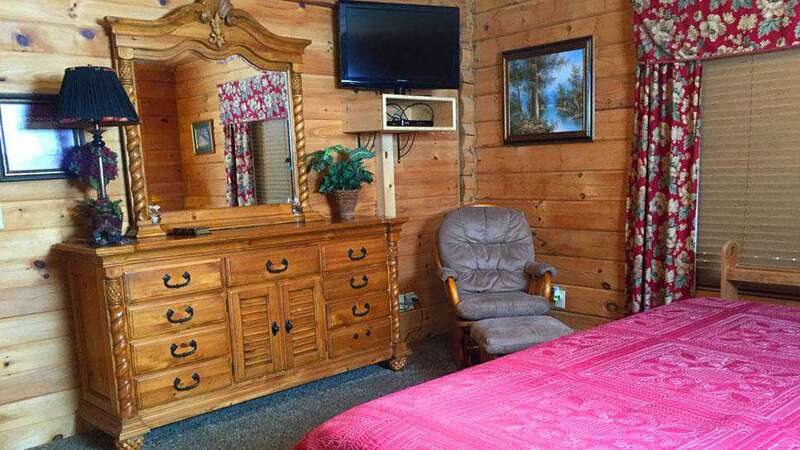 Our Shawnee Cabin is nestled among the beautiful forests and rolling hills of the Ozarks in close proximity to all Branson has to offer. 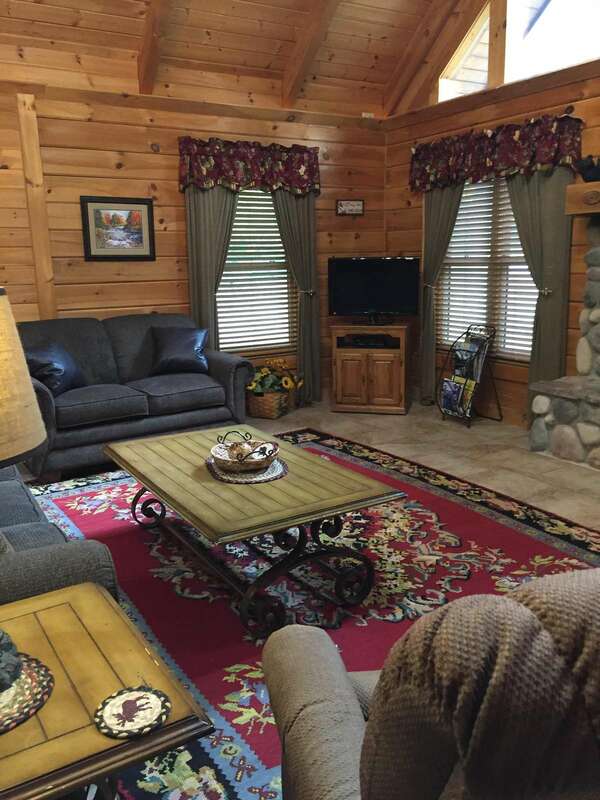 The "Shawnee" comes with a fully equipped kitchen, laundry room with washer and dryer, FIREPLACE (with firewood supplied seasonally), flat-screen TVs with satellite, DVD, wireless internet access and a POOL TABLE. 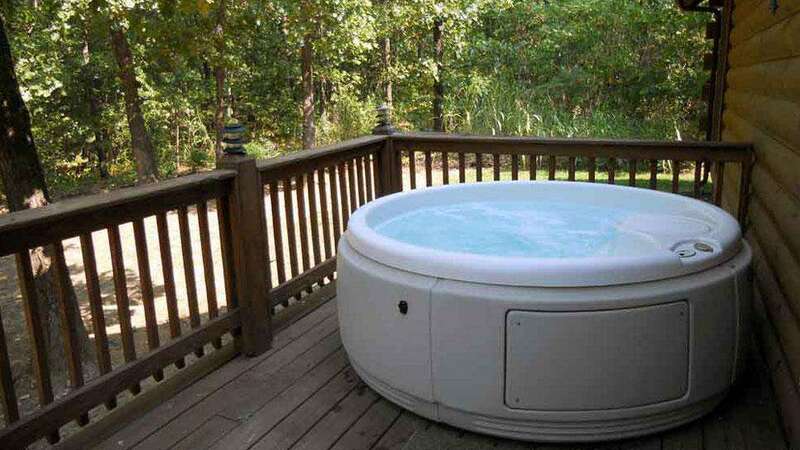 The whirlpool tub in the master bathroom will help make your time in Branson a restful and memorable experience. 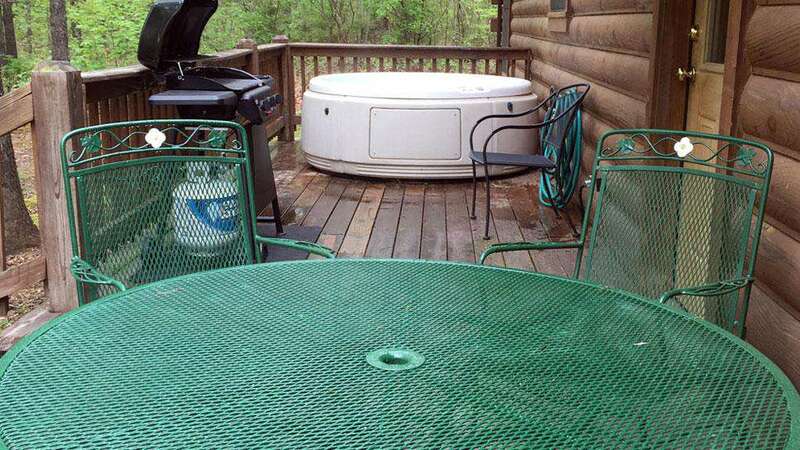 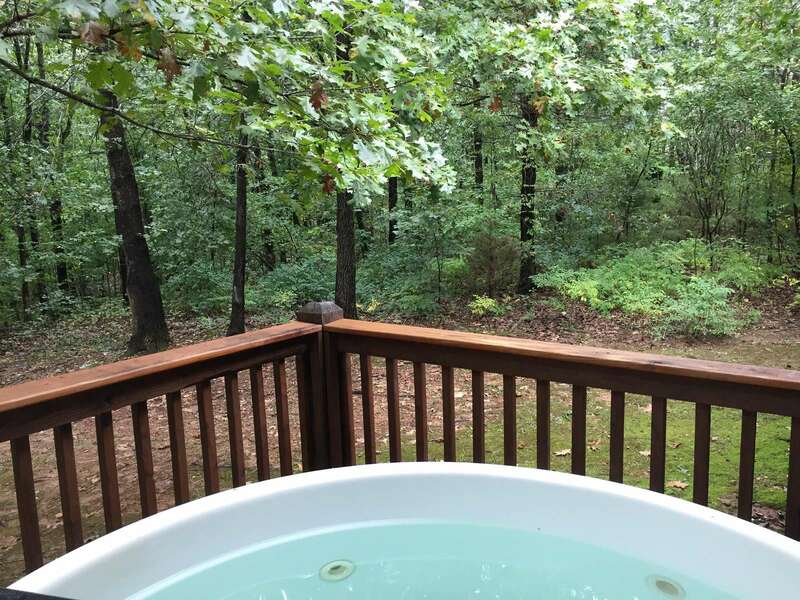 The extra-large deck has a wonderful HOT TUB and propane gas grill to make your stay even more enjoyable. 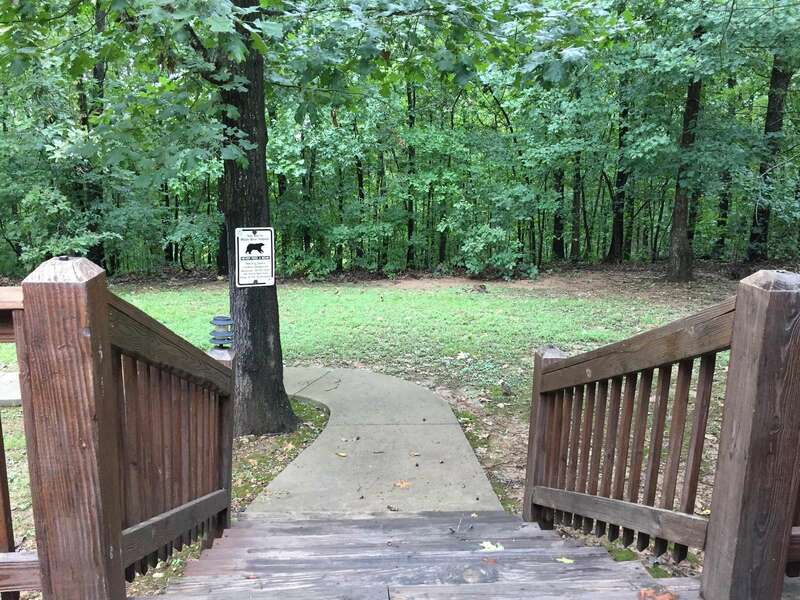 We also provide access to resort amenities including disc-golf, paintball, RC car racing, walking trails, putting greens, swimming pool (3 feet to 5 feet at deepest), children's play area, basketball, horseshoes, sand volleyball, tetherball, teeter-totters, walking trails, a community fire pit and more. 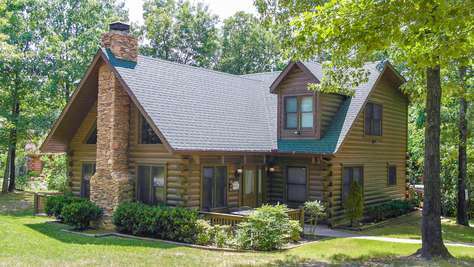 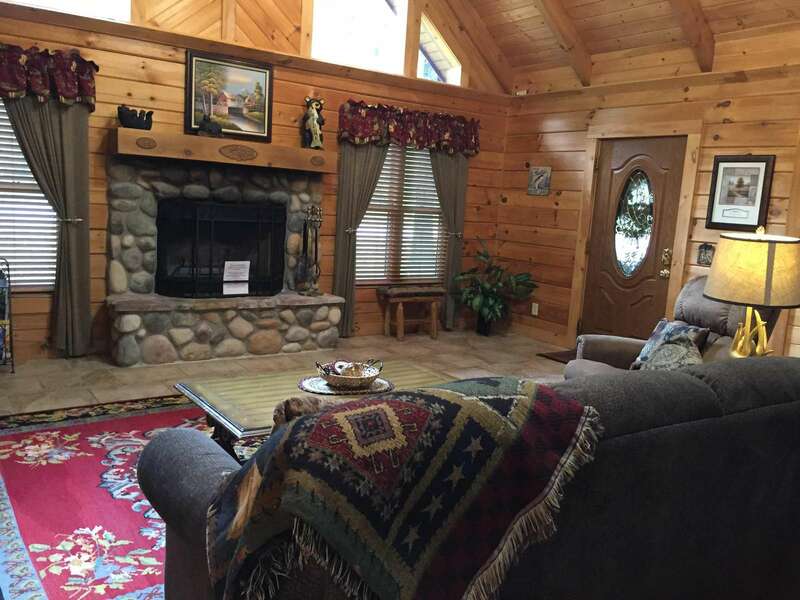 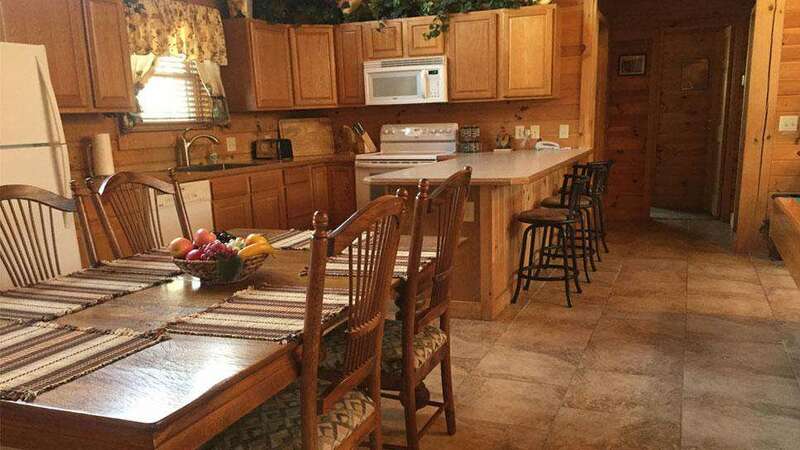 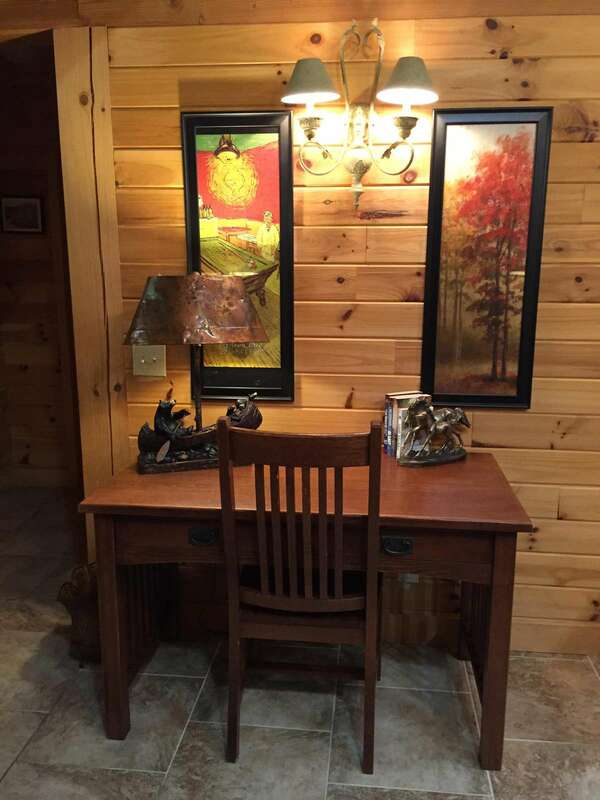 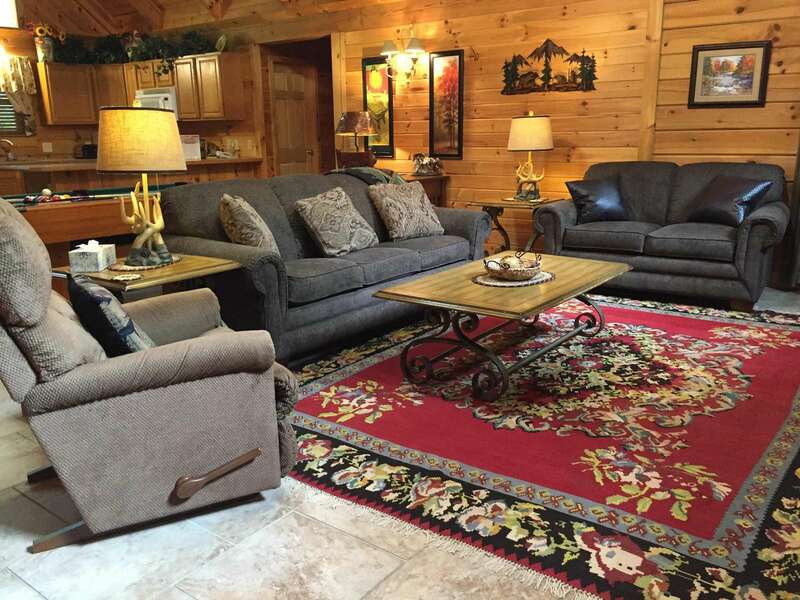 We believe your Real Log Cabin vacation experience will provide lasting memories of your trip to Branson and you will want to return to our "Shawnee" over and over again. 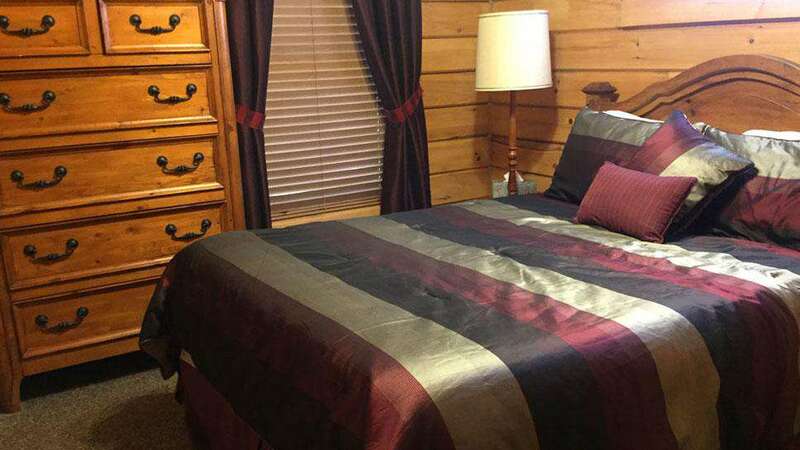 We are conveniently located close to two wonderful lakes and all the enjoyment they have to offer, including boat rentals, fishing, swimming, watersports, and easy lake access. 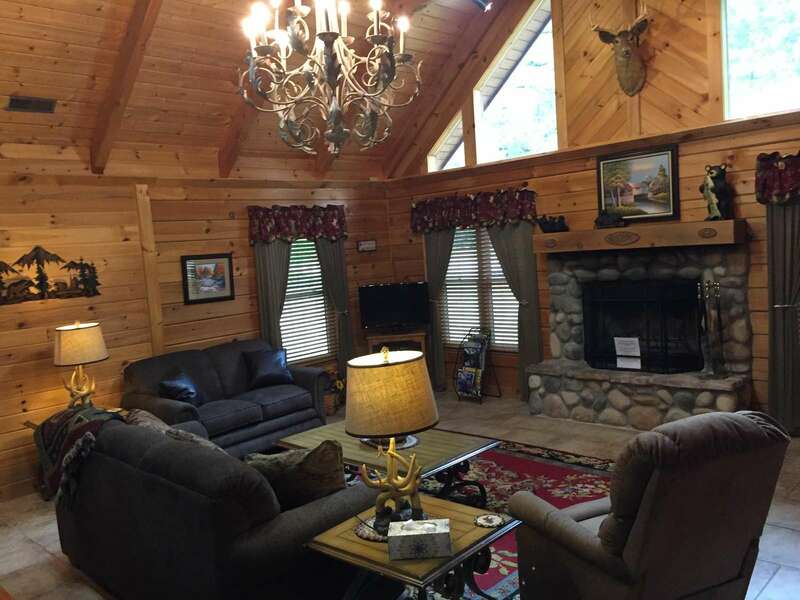 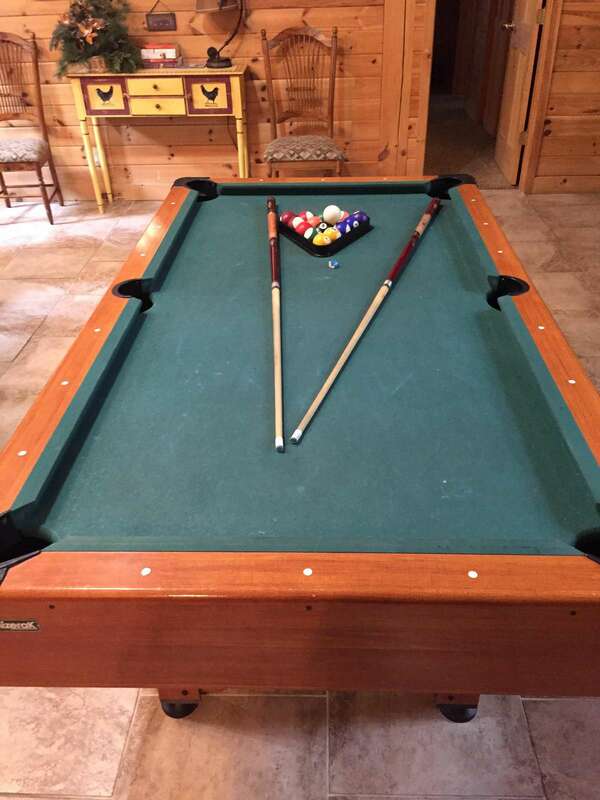 Whether you’re looking for a family vacation or a romantic escape, our Shawnee Log Cabin comes with many of the amenities that you will find at the most luxurious resorts around the world.